Another epic collab has been made. Thank you, Internet. It was just about time ‘til another killer mashup was made by some random person on the internet and now we have one. 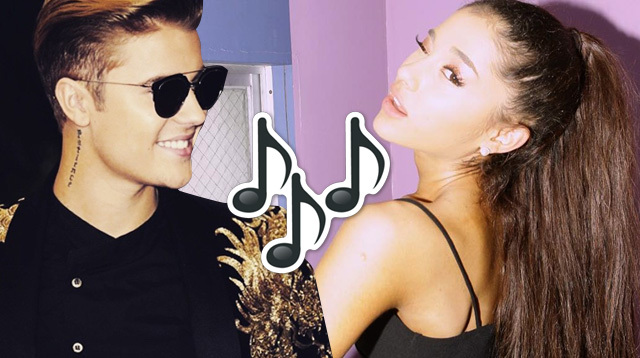 Behold, the “What Do You Mean” x “One Last Time” mashup! Lest we forget, we have Tumblr user dieinyousarms to thank for this epic collab! Hallelujah, hallelujah! Justin Bieber’s comeback single “What Do You Mean” SOUNDS SO GOOD with our baby Ariana Grande’s 2014 hit “One Last Time.” These two up-tempo, cool, pop tracks just scream "chill house party." Yuh? YUH. Now go and listen to this siiiiiick beat. Makes you wanna party now, amiright?